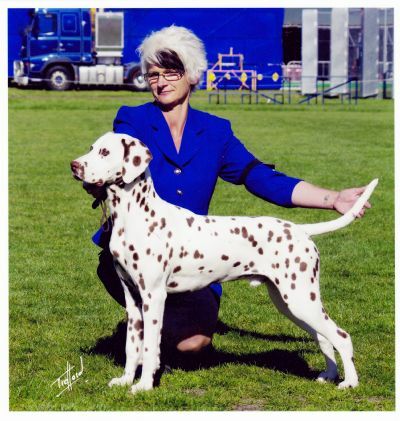 Ivan was the first male Dalmatian that I have owned, keeping only girls previously. His wonderful affectionate temperament won me over in no time. He is a joy to be around and totally devoted to his human family. He has been a pleasure to show, winning his first Best In Show just before his 2nd birthday. He has had many Best in Group awards, multiple Class in Show and in excess of 200 Class in Group awards. Ivan is now enjoying a very lazy retirement at Neilros Dalmatians. 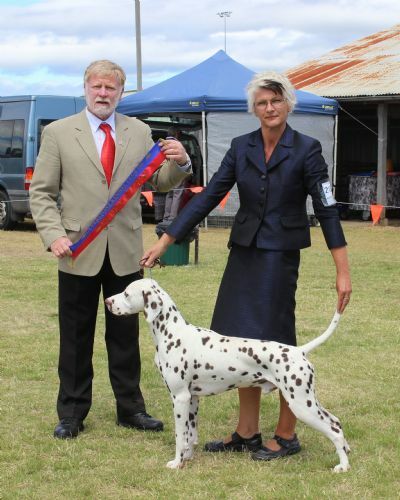 Ivan has sired some lovely puppies who have inherited his wonderful affectionate nature and stunning looks with many of his progreny doing well in the show ring in both Australia and New Zealand. 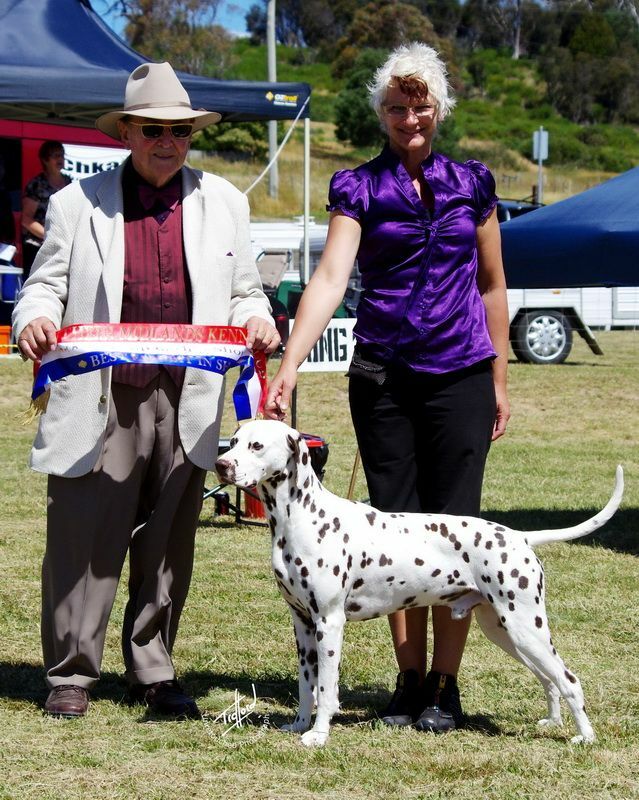 He has produced quality youngsters who have been awarded well in the show ring, producing Runner-Up Best in Specialy Show, Multi-Best in Group , Multi-Class in Show winners, right from his first litter. 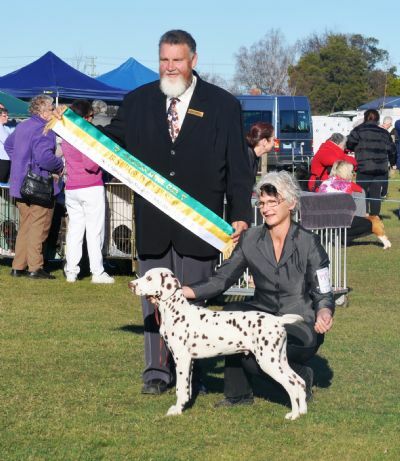 Ivan winning his first Best in Show aged 21 months.